Keep Calm & Snark On : Shopping Our Stash #148 - Happy Earth Day!! Shopping Our Stash #148 - Happy Earth Day!! Happy Earth Day to you and Happy Birthday to my momma!!! This week's Shopping Our Stash challenge is an ode to Earth Day - we want you to upcycle or recycle something...take something old, work your magic and turn it into something new! 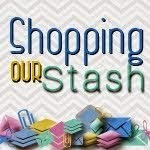 Visit the SHOPPING OUR STASH blog for all the details on this challenge and to show my teammies some earthy crafty love!!! 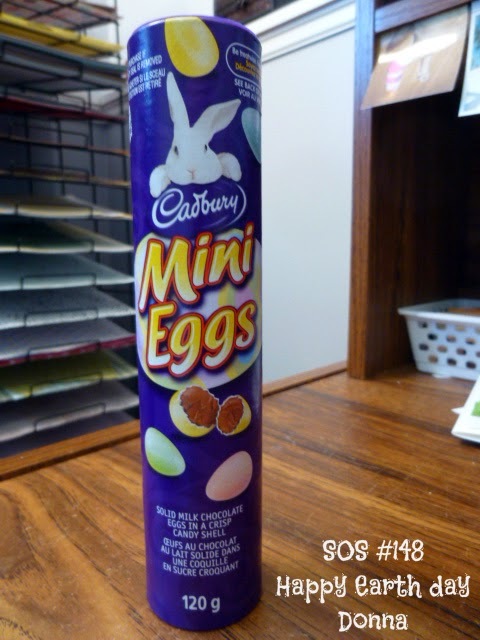 For this challenge I started with this mini egg tube - which was obviously empty because those little pieces of chocolate heaven are my favourite!!!! And I turned it into this skull and bat piggy bank. Pretty cool huh??? Let's see what you can recycle or upcycle for this challenge! Awesome skull/bat bank. my all time favouite Easter candy too. Bat and skull piggy bank?! Who'da thunk? :D And yeah, I don't know how those eggs stay around very long. Wait, you can get those eggs in a TUBE? I feel like I've been missing out by only porking on the bags....I'm in love with that skully tape & those fabulous glittery skulls! Heeeyyyyyy, you can get those in a tube? Where?!!! This is an excellent recycled project, Donna! 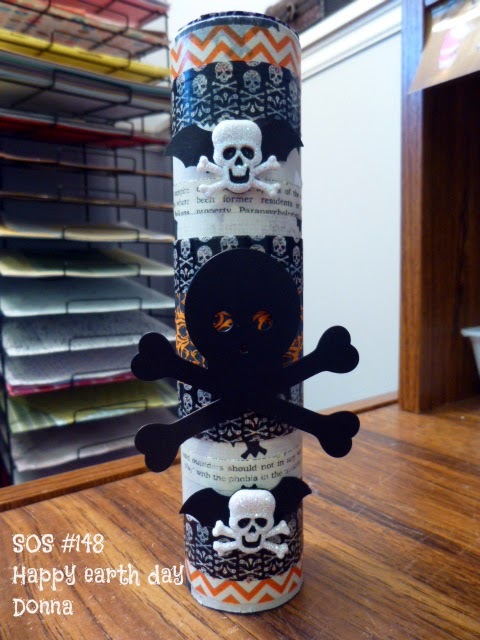 Love all the washi tape and those skulls are soooooo you! Love it! Very fun way to upcycle Donna.